Editor’s note: This post was originally published on May 19, 2008. It was revised and edited for re-posting on Monday, March 11, 2013. Thanks to Zoe for suggesting the update! 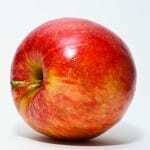 We all recall the brouhaha following the birth of Gwyneth Paltrow’s daughter Apple. But at least one fruit has been a respectable name for girls for generations. It is a tale that begins in ancient Rome, travels to the palaces of Europe, makes it way to the wilds of the American West, and eventually to the gardens of an orphanage in Algeria before arriving at a produce aisle near you. Thanks to Elisabeth for suggesting today’s Baby Name of the Day: Clementine. At the dawn of Christianity, several early church leaders took the name Clement, including Pope St. Clement I. It may be derived from a family name – St. Clement of Alexandria, for example, was born Titus Flavius Clemens. Related surnames abound. Clement comes from the Latin for mild, gentle. Early feminine forms ranged from Clementia to Clemencia to Clemence to Clemency. All of the Clem- names fell out of of favor during the Reformation, but Clement made a comeback in the nineteenth century, and this is when Clementine surfaces as the preferred feminine form. Two notable royals wore the name. First was Princess Clementine of Orleans, born to Louis-Phillipe, King of the French, in 1817. Princess Clementine of Saxe-Coburg-Gotha was born in 1872. Clementine married Prince Victor Napoleon in 1910, and if not for some trifling matters of state, might have become Empress of France. 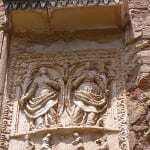 The romance between the princess and the pretender to the throne was widely reported. In 1880, the first year for which Social Security data are available, Clementine was the 376th most popular name for girls born in the US – not Mary, but far more popular than Ava or Abigail. In the 1880s, in the American West, Percy Montrose penned the lyrics to Oh My Darling, Clementine, a mournful ballad about a lovely girl who meets a sorry fate. Odds are you know the refrain; it’s been a staple ever since. The citrus fruit connection actually comes last. In 1902, Father Clement Rodier discovered the hybrid growing the gardens of his orphanage in Algeria, then a French colony. He dubbed the new fruit a clementine, and a few years later they made their way to the US. There’s one more Clementine to mention in our whirlwind tour: Clementine Churchill, wife of Winston Churchill, known for her leadership in the Red Cross and YWCA during World War II and as a steadfast and loyal partner to her husband. Kate Winslet played Clementine in 2004’s Eternal Sunshine of the Spotless Mind. Clementine has been on the rise ever since, but she’s yet to return to the US Top 1000. She hasn’t ranked since 1953. Clementine has become a starbaby staple in recent years. Claudia Schiffer and Ethan Hawke both have daughters by the name. So does Rachel Griffiths. Jack Osbourne’s baby girl is Pearl Clementine. Like any ends with-ine name, there’s a debate about pronunciation. Some rhyme her with final syllable with teen, others with line. There’s no right answer, but I typically hear the rhymes-with-line version in the US. Overall, Clementine is ripe for a revival – she’s sweet and slightly old-fashioned, worn by princesses and historical figures and boasting a ready-made lullaby and color palette, this is a name with depth, character and charm. My daughter is named Clementine Elizabeth. 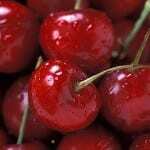 Everyone pronounces it the American way, like the fruit. I call her Clementina. She has so many nicknames. It is a unique name for a unique little girl. 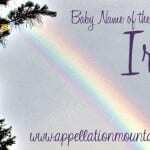 I fell in love with the name before I knew I was having children. I just so happened to get my girl. My husband’s family hated the name, he and they didn’t have a say. Now they love it. I’ve never heard of Cleo and Minnie as nicknames for Clementine. Family calls her Tiny, Clem, Bummers and Sunshine. I don’t think, at all, that it has a hipster vibe to it. It is a classic, unique name that isn’t usually picked because it takes some balls to name your child such a weighted name. My daughter born in July 2012 is Clémentine Nico. I’ve always liked Clementine. I love the song, and there’s a movie based on the song you know, an old black and white western. I remember it because there’s an episode of MASH where they are watching Oh My Darling Clementine. The song is rather silly and pokes fun at Clementine but the movie is a more romantic/tragic take on the song. I like either pronunciation, but I say it rhyming with ‘line’. I don’t know that I like it enough more than other names to use it though. I do love the virtue quality, but I actually like Mercy as a name more. I think this name could rise quite a bit in popularity. I wouldn’t be surprised if it makes it onto the top 1000 finally. Someone mentioned Eliza Clementine, but I think I would like Ella Clementine more. Maybe Lila Clementine? Another possible nickname would be Cutie (there’s a brand of clementines called this). I like just Clem or Clemmy though (as well as some of the other suggestions. I love Clementine. It’s a longtime favorite. Princess Clementine wasn’t just a Princess of Saxe-Coburg-Gotha, but also the daughter of the King of Belgium! I wanted to add a nickname for Clementine. My great aunt was named Clementine and was alsways called Nine-Nine. I’m not sure why she was called this but I love it! I have a three year old named Clementine Skye and it suits her perfectly! She is funny and sweet and strong-willed. We call her Clem, Clemmie or sometimes Clemmers. Everyone we meet loves her name and on more than one occasion someone has said “I really wanted to name my daughter Clementine but my husband/wife wasn’t sold on it”…Our Clemmie was almost an Ava, another beautiful name but it really wasn’t strong enough to carry our little ladies personality! Clementine Ava would be adorable though. I have a 2 1/2 year old named Clementine, and I absolutely love the name. My maiden name was Clemens, so there was a family connection for me. We do not know any other Clementines. Funny – I never felt a hipster connection because of all the other connections to history and the world. A beautiful name for a beautiful girl! We call her Clem and Tine but mostly Clem. Clementine is (excuse the pun) just darling! There’s an old-fashioned sweetness to her that I think the type of parents who also love Eliza and Ivy, for example, would be attracted to. The fruit are just sold here as mandarins, so we don’t have any food issues with the name. Little wonder she’s back in fashion. I love the freshness of Clementine and her length & style. If only He didn’t do “Huckleberry Hound” every time I bring her up. I’m keeping Clementine/Cleo on my ‘in case’ list, but I’m not holding my breath. Clementine is one of those names filed under “I would use this in a heartbeat if my husband didn’t have a say.” Cleo and Minnie are fabulous nicknames, and I love the reference to the fruit. I love Clementine! Love, love, love it. I normally wouldn’t go for something with such a strong hipster vibe, but the virtue aspect of Clementine saves it. She’s a fruit, a song, a royal, a virtue, and is spunky with great nicknames (Clea, Cleo, Minnie, Teeny, Tiny, etc.). Thumbs up for Clementine! If we didn’t have Moses at the top of our list, my favorite combo with Clementine is Zipporah Clementine Elaine. I love Clemency too, but I’m not in love with -ee endings on girl names. Clement on a boy makes me swoon but the pronunciation trips me up too much to use it on a real kid. The nickname Tiny pretty much puts this name on my list, that and the fact that my husband loves Eternal Sunshine of the Spotless Mind. My name nerd credentials are in serious jeopardy every time I say this, but I hate Clementine. It’s over the top and ridiculous to me, not to mention an eye-roll worthy level of hipster, especially when the last syllable rhymes with “mine” rather than “mean.” Perhaps I’m just not classy enough. But Clementine does have a massive fan base among certain groups and it’s better than Nevaeh, so to each his own. This has become my favorite name over the past few years. I love everything about it. Abby, there is a feisty Clementine in the film Eternal Sunshine of the Spotless Mind, played by Kate Winslet. That increases the appeal for me, otherwise it seems like one of those manic pixie-dream girl names. I like it, though! Feminine but not frilly, and definitely unusual. The nickname Cleo is awesome too. I’ve been in love with this name for a while but only just started seriously considering it for a future girl. I don’t like many of the nicknames for it because I really love the full name but I’m thinking with young kids, we’d had to come up with something easier. Do you think Minnie is too far off? I can’t help but smile when I picture myself introducing my daughters, Bay and Clementine. Too cute! I love Minnie as a nickname for this! No problem Lola, that’s why I love the ‘most recent comments’ part of this site. It ensures that even if you post about an older NotD, people can still easily find it. 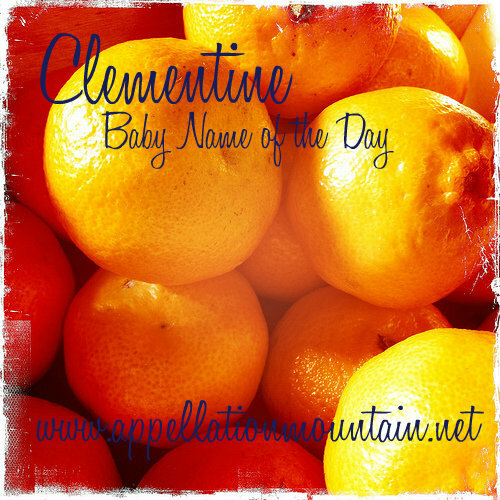 Good luck convincing your hubby about Clementine, it really is a beautiful name that manages to be both familiar but rare. Someone at Nameberry mentioned yesterday that you covered Clementine. I thought I’d read this already & commented. Surprise, I hadn’t commented. Considering Clementine’s been on my list for 3 years, it’s been a love for a long while. My boys were boy scouts for about 8 years (maybe 9, I forget) and I asked both of them to sing “Clementine” for me the other day. Neither could get past the first verse! Clementine’s rising in my estimation, she’s pretty, doesn’t rhyme with Josephine (-FEEN, -TYNE), but looks absolutely perfect next to her. I’m a real weirdo, I practice writing my kids names out like I was signing Christmas cards. No, I don’t sign Leo & Simon’s name to our cards since they officially moved out two years ago. They can send their own cards! But I digress. Clementine is sweet, pretty and a bit of a standout sound among the other popular names of today. I utterly love her and would name a girl Clementine if I had one. (don’t know yet, don’t know if I want to know yet!) I just have to sell Him on her. Since Josie likes Clementine, I’m going to have her work on Papa! Lola, I absolutely LOVE Clementine and I think Clementine and Josephine sound wonderful together for sisters! Josie and Cleo/a are lovely 🙂 And I wouldn’t worry about Cleo and Leo rhyming since as you’ve mentioned Leo’s moved out. Congrats! it might be fun that Cleo and Leo rhyme or are so similar. I think either that or Clea make nice nicknames for Clementine. I don’t mind popularity as long as it isn’t top 10 or dated (though top 10 doesn’t bother me much for boys, just girls). Dexter is one of the few uncommon boy names I love… the rest pretty much stay on my GP list. Eliza, on the other hand, is on of the more popular girl names that I like. My other faves are Gwendolen, Cassia, Sabrina, Veronica, Aurelia, Jessamine, Imogen (which I’m sure is on the rise), and Cordelia (also probably on the rise). Those are just the first names, though. I don’t really seek out uncommon names, but I like to find underused gems (in my opinion, at least) like Cassia or Aurelia. These names seem perfectly suitable for today, will probably age well enough, and have a nickname or two that I’m partial to. I’d like to think there is a way to find a middle ground between overpopular names and entirely obscure ones. Great list! Cassia does seem like she’d really stand out today, but in a good way. Cordelia is on the rise, but she’s yet to break into the Top 1000, so she’s still far more rare than Veronica – another name I love. Aly had a classmate named Avery (a boy!) with a little sister called Sabrina. I love that sibset. I’m less sure of Aurelia – with Aurora, Adrianna, Ariana and company on the rise, I wonder if she’ll blend in. And Jessamine – gorgeous Jessamine, doomed to be misunderstood as Jasmine/Jasmyn/Jazzmyn. Except I still love Jessamine. I’m so glad you approve! Avery and Sabrina are wonderful together, I just fear the possibility of gender confusing for boys, so I tend to stick to names that aren’t likely to be used on girls, like William, Anthony, Garrett, Alec, Joshua, Zachary, Arthur, Matthew, Nathaniel, Dean, Marcus, Dominic, etc. I really don’t like boy names on girls, it just seems to make the pool of nice, masculine boy names smaller (like Elliot, which seems to be a rising girl choice). Some of the more feminine, widely used ones are fine (like Ashley, Kelly, or Leslie), but Ryan, Noah, and Jasper? Really? I guess I just can’t see them on a girl. I can see how Aurelia might get confused. I like it a lot as a first name (I think Auri would be a pretty nn), but I must admit I only have it paired as Juliet Aurelia. Juliet will probably blend in with the Julie/Julia/Juliana crowd, though. I really don’t mind. Ah, Jessamine is beautiful, isn’t she? I like Jasmine, too, but I’ve seen it used to much as a stage name. 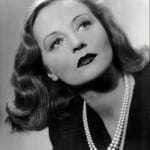 I have Jessamine paired as Jessamine Lilith. Lilith is another really gorgeous (though likely to be misunderstood) name that I love. Plus, the history/meaning is a tad bit scary. Still, I think it is tons more interesting than simple Lily. I’m probably alone in thinking that. I’m with you two on Veronica. She’s been growing on me. I think there’s a rather awesome saint named Veronica?? Can’t remember for sure. Juliet Aurelia is fabulous. If you wanted Julia you could do Julia Aurelie. I like both Jessamine and Jasmine, and not one more than the other. I feel like with Jasmine, part of it is how you spell it and part of it is how it’s paired. One way it’s just boring like all the other Jasmines, another way, it’s pretty fabulous. Jasmine Sabrina? Jasmine Veronica? versus Miley Jazmyn or Jazzmin Reese. Clementine is new on my list, and honestly I’m not sure of it. I currently have it paired with my favorite name of all time, Eliza. Hmmm. Eliza Clementine. I think it sounds nice, but I’d like to avoid tryndynys so I’m a bit worried. Sorry for blathering, Eliza has just been so very stubborn of late. I do love Eliza Clementine. I know quite a few little Elizas, but I don’t think it can be called tryndy. Fashionable, yes. But enduring. I’ve never met an Eliza, probably one of the reasons I like it so much. I’m glad you like it and think it is fashionable. I hope neither name rises in popularity any time soon. May I ask a question? Do you think my favorite names, Eliza Clementine and Dexter Benjamin mesh well? I think they do. Eliza and Dexter both have the same retro-spunky feel. Plus, Eliza has her “z” and Dexter his “x” – along with v, three letters that make names seem vibrant and fit for the 21st century. But as for whether they’ll be gaining in popularity? I suspect both will – though whether they’ll be so popular to bother you, that’s hard to say. Fewer children receive the most popular names today, but I’ve always found that there are certain names that dominate among friends and family. We know more boys called Max and Theodore, and more girls called Esme and Eleni than you’d expect. And someone just pointed out today that there are LOTS of Fin- names in my neighborhood. I know two Finns, plus two Fin- names, one for a girl and the other a boy … so there’s always the chance of a name that is only ranked #200 nationally being #10 in your world! But if you love a name? Then I think you’ll probably overlook the popularity issue and just enjoy how many friends wish they’d thought of the names first! I think this name’s quite interesting. Do you pronounce it ClemenTINE (long i) like the song or Clementeen… I think that is how they say it in England and I like that better. Or Clementina. Yeah! We’re starting a baby name circuit. Thanks for the link. P.S. And I’ve always liked Clementine, but I was amazed at the history I unearthed. You may have officially sold me on Clementine. Well done! Her pedigree is much more aristocratic than I’d thought, and what an interesting journey she’s been on! Thank you for addressing this name. I am hearing Clementine pop up on more and more lists, and I think it will brew for a little while amongst creative urbanites and then balloon. ~Elisabeth, from You Can’t Call It “It”! […] Nazis during World War II. […] Here’s my favorite – and quirkiest – reference. […] It may be that Zelie is a short form for other names, too. […] If that’s true, she keeps company with other edible appellations like Pomeline and Clementine. […] most of the inspirations are fruit-flavored, so we’re tempted to group this one with Clementine – a subtle, edible name. […] a bright spot of starbaby naming news.